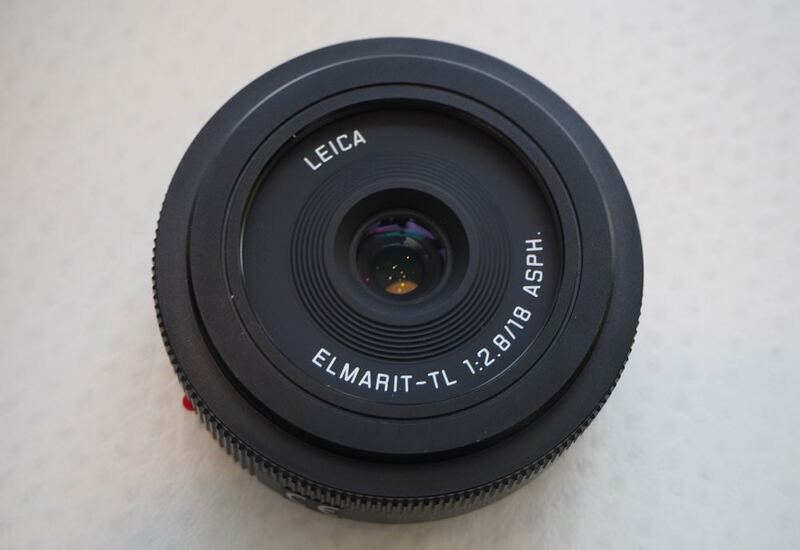 We go hands-on with the new Leica Elmarit-TL 18mm f/2.8 pancake lens for APS-C Leica mirrorless cameras. Leica has announced a new 18mm f/2.8 pancake lens (equivalent to 27mm). The lens uses a single element for fast focus, rather than having to move a heavy group of lenses and the focusing mechanism in the lens has been designed to feel like it’s moving something mechanical, even though it’s electronic. The Leica TL range of lenses covers 17mm – 200mm (equivalent) and as well as the new 18mm (27mm equivalent lens), this includes the 35mm, 60mm Macro and 23mm prime lenses. The introduction of the 18mm f/2.8 pancake lens brings the total number of TL (APS-C) lenses up to seven. According to Leica, the TL (APS-C) lenses are designed to give the "best in class image quality" and are designed to resolve 60lp/mm. They also say that the lenses produce the same quality in images focused at infinity as they do at the closest focus distance. The Leica 18mm f/2.8 pancake lens will be available at the same time as the newly announced Leica CL with an RRP of £1020 inc. VAT.